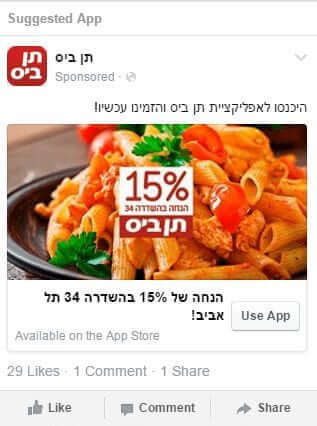 Ten Bis came to us in order to promote its new app using a Facebook campaign. The case study was published in the Facebook for Business website. Fialkov Digital is an advertising agency focusing on internet sales and lead production, it specializes in using and implementing advanced tools in social networks and in Google, emphasizing advanced advertising on Facebook. 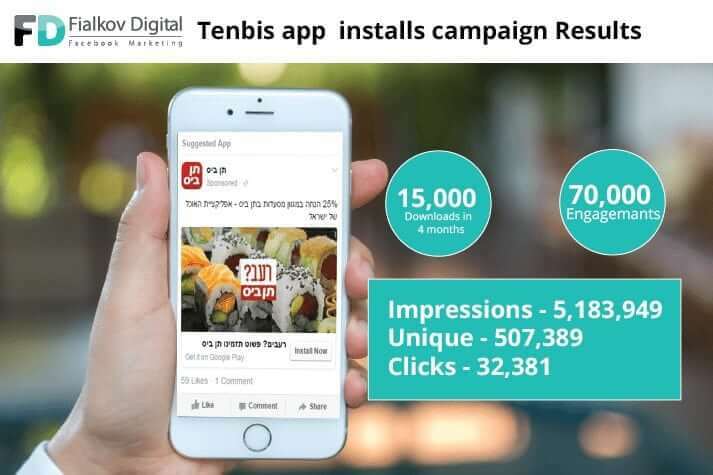 Ten Bis is the largest food orders and delivery website in Israel, existing for more than 14 years, providing services for more than 3,000 companies in all sectors, running a database of more than 3,500 restaurants and food houses. Using a Custom Audience Tool helped draw the attention of clients who already downloaded the app and made them use it again. “The installation campaign for Ten Bis was a great success. Using the campaign, we achieved a great volume of downloads for low prices with the right combination of creativity and reaching a focused target audience. In only one month, over 6,5000 users installed the app in a cost of only 94 cents, through the campaign. Using Facebook allowed us to reach a very wide target audience to launch an introduction campaign of the app and examine its target audiences. Later, it allowed us to reach a specific crowd, the campaign acted best in, bringing the best possible results. 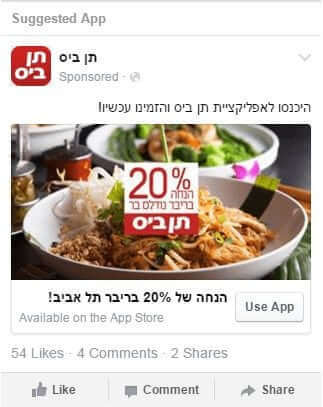 In the second campaign, the engagement campaign, the Facebook tool allowed us to apply to any individual who downloaded the app based on his location and the opening hours of the restaurants in his area, which brought about excellent purchase results, for clients who came through Facebook. 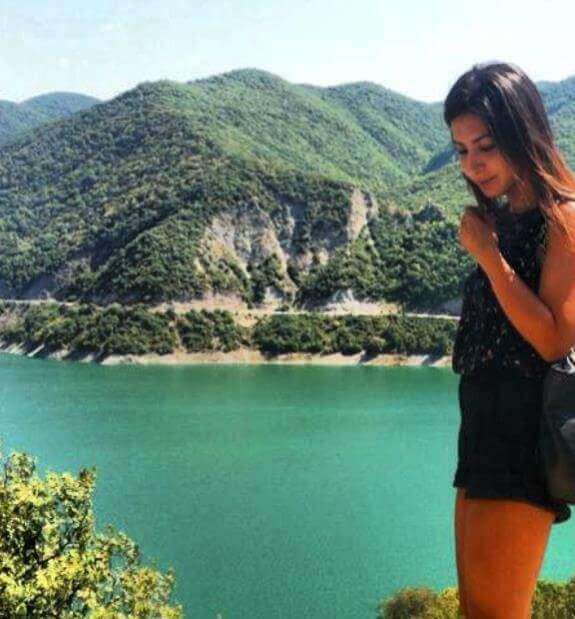 .Vered Barel is the customer manager and the content writer at Fialkov digital.